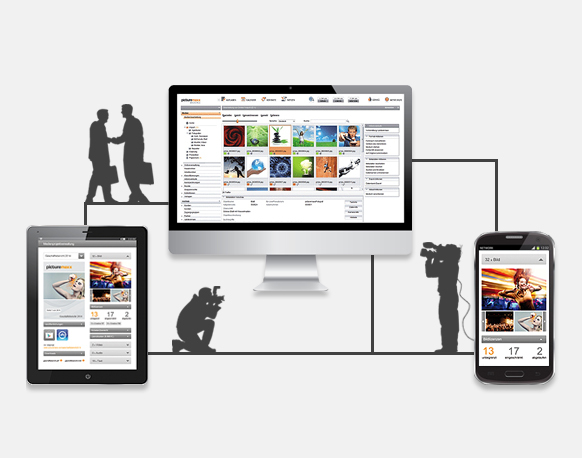 picturemaxx products are the technical foundation of over 1,000 businesses throughout the world. We provide solutions for the challenges you face today, while empowering you with tools for adapting and thriving in the future. 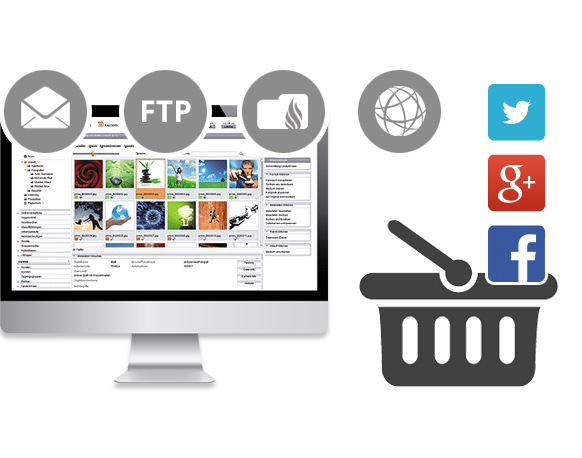 picturemaxx products support all digital media types, while streamlining the labor of storing, maintaining and publishing content. It works with enterprises of all types and sizes. See a list of the main features below. 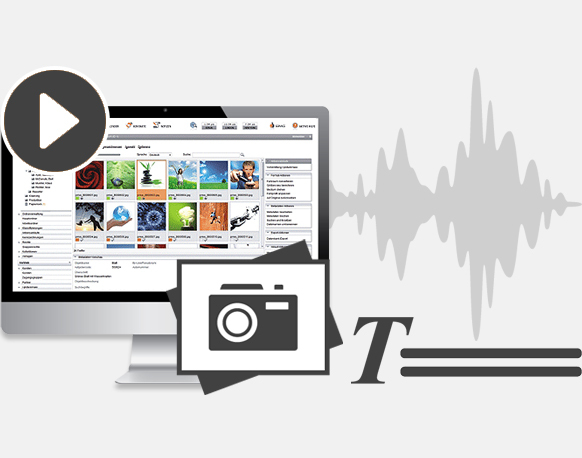 picturemaxx products are compatible with all media types: photos, videos, text, illustrations, audio, and more. You can set up workflows for receiving and processing your media that are completely custom to your needs. picturemaxx is your virtual steering hub for controlling all of your digital workflow. 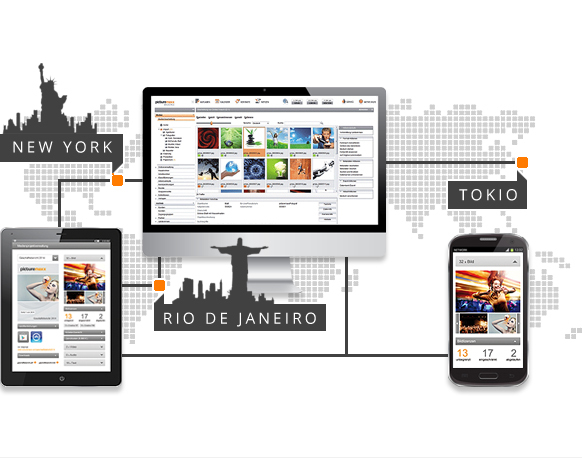 Using only a web browser, you can access your media archive anytime, anywhere. Forget about installations and routine updates. Because it's a role-based logic, picturemaxx products allows you to seamlessly and efficiently work with internal/external staff, creative consultants, customers, and all the individuals relevant to your business. 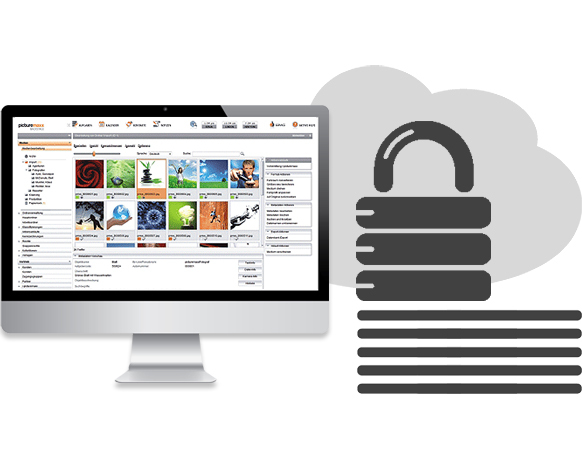 picturemaxx ensures the distribution of your media files by e-mail and FTP, as well as via API, your intranet portal, your website, and other channels you need. 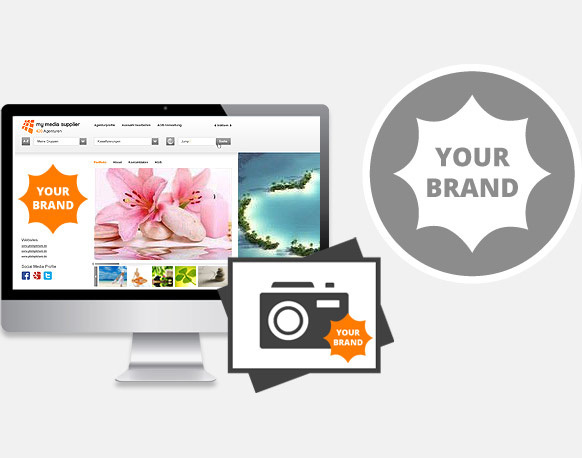 While you manage, distribute and license your digital media, picturemaxx provides complete transparency, consistency in branding, and the highest workflow efficiencies to support you. The picturemaxx cloud saves you expensive and complicated investments in your own IT infrastructure. And you get the highest safety standards and highest availability of your data and applications.